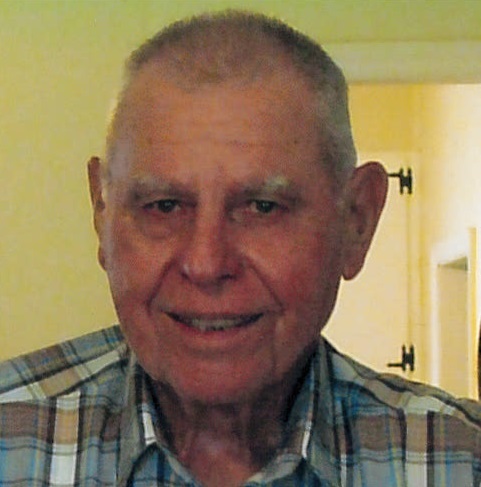 Richard Lynn Whitesell, 82, of Salisbury passed away Tuesday, September 4, 2018 at his residence. Born in Alamance County on May 25, 1936, he was the son of the late Beatrice Floyd and Charlie Sylvester Whitesell. A veteran of the US Army, Richard worked as a driver for Swing Transport before retiring. He attended Salisbury Church of the Nazarene. He was preceded in death by his daughter, Linda “Chris” Johnson; brother, James Whitesell; sister, Carol Neese. Those left to cherish his memory are his wife, Blanche Cole Whitesell, whom he married on August 19, 1961; brother, Frank Whitesell (Pat) of Wilmington; sisters, Maxine Cheek (Holt) of Gibsonville, Lois Fuller of Gibsonville; grandchild, David Johnson (Melissa); great-grandchildren, Jillian Simpson, Kalista Johnson, Dylan Johnson. Visitation: 2:00-3:00 PM Saturday, September 8, 2018 at Salisbury Church of the Nazarene, 224 West 12th St., Salisbury, NC 28144. Service: 3:00 PM Saturday at Salisbury Church of the Nazarene with the Rev. Daniel D. Mercado. Burial will be at Salisbury National Cemetery with military honors performed by the Lyerly Volunteer Honor Guard. Graveside Service: 2:00 PM Wednesday, September 12, 2018 at Salisbury National Cemetery, 501 Statesville Blvd., Salisbury, NC 28144.